Take 6 ml (1 tsp.) a day in the case of an adult, and 3 ml (1/2 tsp.) in the case of children over the age of 4, or according to your healthcare practitioner’s instructions. Take directly or mix with liquid (water, juice). Shake gently before every use. The supplement combines two natural health-promoting compounds, that is curcumin and resveratrol. It can be used by adults and children over the age of 4. It is recommended particularly in the case of chronic inflammations. For preventive purposes, it is recommended to take about 6 ml a day. Half of the dosage is advised in the case of children. 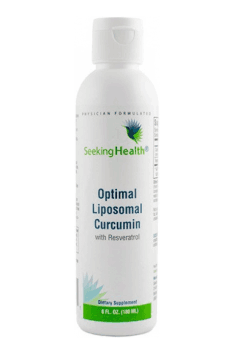 The liposomal formula guarantees excellent assimilability. It is good to take the supplement with a meal, preferably one containing a source of good-quality fat. Standardised Cordyceps sinensis extract. Boosts immunity and has adaptogenic and anti-stress effects. A complex of cordyceps, reishi and shiitake mushrooms; adaptogenic and anti-stress properties.